SD-WAN has ignited a revolution in the networking world – but it doesn’t come without its challenges. In fact, a recent IDC report that surveyed SD-WAN early adopters found that security requirements related to web and internet apps are a leading concern. 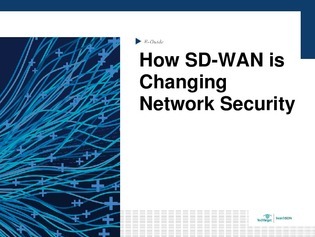 In this expert e-guide, we explore how network security has to change in order to keep up with the evolution of SD-WAN.